Scrum as an Agile methodology is currently most popular in IT development teams. However, that does not mean that it cannot be effectively used in other domains. In fact, as an Agile methodology of managing projects, it can be used wherever people work on projects on a regular basis. It can be used in a particular division of a company – like new product development in an automobile company, and can also be used in a particular function of a company – like marketing. 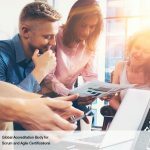 This article will highlight how Scrum methods can be used very effectively to manage marketing projects. Marketing as a function revolves around projects. Marketing professionals work on a variety of projects – ad campaigns, email campaigns, product prototyping, market research etc. More time is spent on projects rather than operational activities. Hence, Scrum can be especially beneficial for marketing teams. Let’s say the marketing team is tasked with the project of launching a new car model. 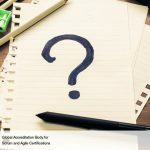 How can it use Scrum? Well, it actually is quite simple (one of the basic objectives of Scrum – to keep it simple). You start off with stating the project vision – launching the car in a defined area, say, the state of California. Then you need someone to spearhead the whole project – the Scrum Master. He/she will decide who all will be part of the Scrum team. These have to be people who will actually be doing the various tasks in the project and not the ones who simply have an interest in the project. So now you have the people who will be working on the Scrum project. What next? The team needs to understand the customer requirements. These are defined in the form of User Stories. In our case, two of the user stories might be ‘I need to test drive the car before I buy it’ and ‘I need to know all its performance specifications’. The User Stories are approved and entered into what is called the Prioritized Product Backlog. It is the master document which guides the team in the project. It contains the User Stories and the tasks which are required to fulfill the requirements for each of the user stories. So in our example, the first User Story about test drives will include tasks like ‘Decide number and variants of test cars needed’, ‘Brand the test cars’, ‘Create a test drive feedback form’, ‘Decide on the tasks to be performed by the salesperson before the test drive’, etc. It then decides on a Release Planning Schedule which lays out the schedule of shipping out completed deliverables to the customers. The team then estimates the time required for the various tasks. Based on the above, a collective decision is taken on which all tasks will be taken up in the first round – called Sprint in Scrum. A Sprint duration can vary from a week to a few weeks. The team then works on completing the tasks in a particular Sprint. To ensure that things are on track, the Scrum team has a Daily Standup Meeting which is time-boxed to normally 15 minutes to half an hour, in which all the members stand around and discuss the status of the different tasks. Tasks are entered in post-it notes and stuck on to a whiteboard with 3 columns – ‘To be done’, ‘In Process’ and ‘Completed’. The team then works on the tasks from the first column to the third column. At the end of a Sprint, when the team has hopefully completed all the tasks, a Sprint Review Meeting takes place where the team discusses what went right and what are the improvement opportunities. At designated points in time as laid out in the Release Planning Schedule, the team ships out completed deliverables. This process continues till all the deliverables and tasks are completed in the Scrum project. The high level of involvement and communication involved in the Daily Standup Meetings is the key to an effective implementation of Scrum. Thus, by following the above process, marketing teams can ensure speedy completion of projects with high quality outputs without getting bogged down by a lot of documentation and processes. 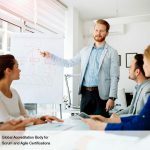 How can marketing team benefit from Scrum?